The world’s most popular browser is now Chrome. 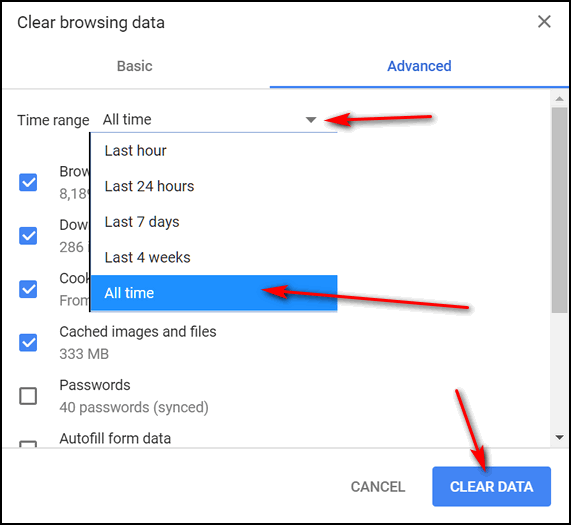 If you’re using Chrome, we’re going to show you the fastest way to clear your browsing history. And if you use Firefox or Edge we have you covered too! Just keep on reading. If you’re using Chrome, open Chrome, and then press CTRL+SHIFT+DELETE on your keyboard. 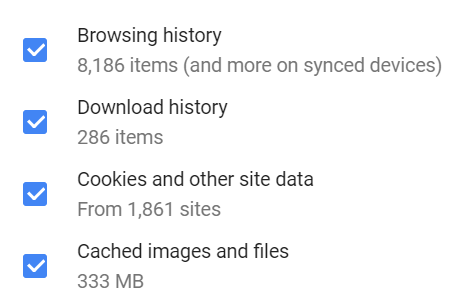 Chrome’s “Clear browsing data” dialog will open. If you’re using Firefox or Microsoft Edge, you can use the same CTRL+SHIFT+DELETE shortcut to clear your browsing history. Remember, clearing cookies will log you out of sites that you’re logged into. The next time you visit those sites, you’ll have to enter your login credentials again (even if you save your passwords as recommended above). Now, you know the fastest way to clear your Chrome, Firefox and Microsoft Edge browsing history.